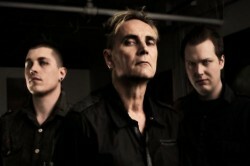 Alex: I don’t think anyone is really surprised at the amount of dubstep wubs slathered all over the new Front Line Assembly album. After all, 2012’s Airmech soundtrack was full of tasteful nods to that most popular of electronic genres, and honestly, I feel like people were a lot more excited for it than they were for most of the recent releases from Bill Leeb and company. So yeah, Echogenetic feels like it flows pretty naturally out of that to me, and you know what? I like it. I like it a lot, actually. I’m actually probably as surprised as anyone by that, but I have a couple ideas why. Firstly, and this is important, the pump has really been primed going into the listening experience. FLA put their best foot forward by releasing “Killing Grounds” as a single, that song is straight fire from beginning to end and wasn’t shy about showing off the integration of EDM into the Front Line arsenal. And that leads us to the second thing, that it (and the whole record really) still sounds like FLA. The song has wubs and lots of those stuttering synth lines, and the quirky rhythmic features of d’step, but under the hood it still has the deep production, the layering, the high-tech atmosphere you want when you toss on an LP by these guys. 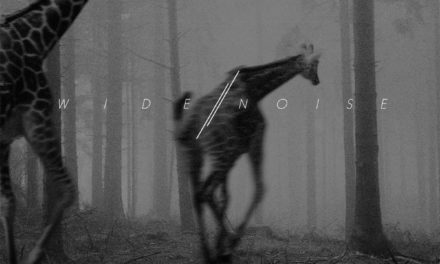 I’m sure there are people who heard it and instantly wrote it off based on their dislike of the dubstep tropes, but to me it was like okay, these guys have proven they can do this hybrid really well, so why not give the record the benefit of the doubt? How did you find it matched up to your expectations? Bruce: The priming the pump point is a key one. Many of these markers have been floating around the FLA cosmos for a couple of years now, and that releasing Airmech might have been used as a bit of a testing ground for some of them in a more controlled environment (instrumental, soundtrack, not toured for). Hell, even in thinking back to our interview with FLA I’m beginning to wonder if that idea was already kicking around Jeremy and Bill’s heads. Airmech definitely took a few spins to work its charms on me, but once it had it was locked in pretty good. Going into Echogenetic, I guess I wanted FLA, but I wanted “modern” or contemporary FLA, and I got that in spades. We have those dubsteppy breaks and smooth, blurry EDM tremors, but it feels as though they’ve been blended into very classical Front Line structures. I think what jumped out at me even more than those current tropes, though, was the amount of, well, flat-out poppy tunes that were on it. The bubbly but somehow mournful tone of “Blood” brought Necro Facility’s “Fall Apart” to my mind for example. In a sense, I think this can almost be backdated to “Social Enemy”, the stand-out cut from 2006’s Artificial Soldier, in which we had the classic speedy FLA groove welded to a very insistent melody. Parsing the division of labour within the FLA camp’s always been tricky, but I feel as though our boy Jeremy Inkel coming into his own not just as a producer but as a songwriter (specifically one who grew up blasting classic FLA jams) has a fair bit to do with retrofitting earlier FLA templates to new sounds. Are you getting that same poppy, melodic feel from Echogenetic? Alex: Absolutely. I’m not gonna be so bold as to credit any one individual as the font of melody on the record, (you and I are both relatively friendly with pretty much all the non-Leeb FLA principles of the past decade or so, and are no closer to really understanding how they work together), but there’s no doubt that between Bill, Jeremy, Jared, Craig and Sasha a bunch of rock solid tunes got written and recorded. 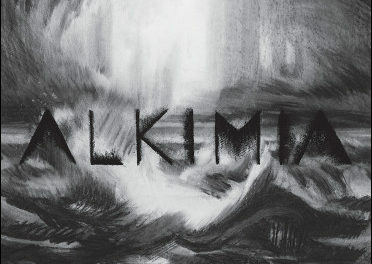 I was expecting their to be a lot more OMGDUBSTEDSUCKS commentary from the peanut gallery, but I think the strength of songs like “Deadened” – which coasts on some hard syncopation and has a really intricate interplay of sequences – has pretty much killed that criticism on arrival. If you pause to pick apart “Ghosts” or “Exo” and you can find some really simple and easy to “get” songs that have been enlivened with deep production. 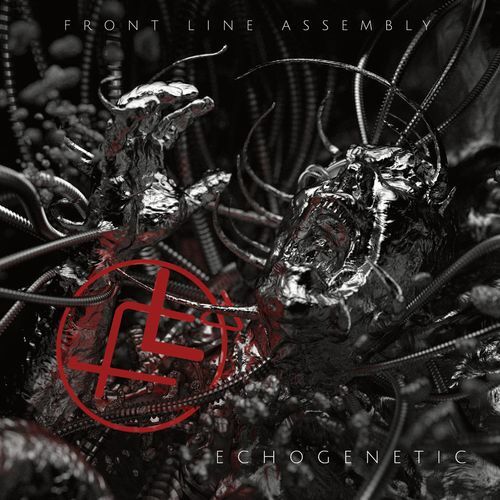 Front Line Assembly are to my mind one of the most cyberpunk bands, and when I say that I mean the kind of cyberpunk that first emerged in the 80’s and is now a distinctly retro sensibility. The samples, the mechanical structure of their songs (and in fact their albums: give a listen to the pre-Millenium records with that in mind and you actually discover some smart choices in song sequencing), the subject matter: it’s the music you imagine Deckers and Keyboard Cowboys blasting as they coast through virtual neon worlds. One of the really cool things with Echogenetic is the clash of this very old school cyber motif and this very modern production sensibility. It could have really fallen flat really easily, with tired cliches dressed up in 2013 clothes, but instead there’s a real energy that flows out of that friction. It kind of reminds me of that recent trailer for the new Cyberpunk 2077 game, it’s recognizably the thing we came for, but built with new tools and ideas. Here’s a question: in spite of being informed by the current hottest mode of electronic dance music (and having two bangers in the form of “Killing Grounds” and “Exhale”) do you get the sense that this record isn’t geared for the club particularly? And does that actually matter for an electro-industrial record in 2013, or for FLA in general? Bruce: Hmm. I’d like to back up a sec and say that we can point to Echogenetic as a solid example of how to integrate current sounds into your template without sounding like you’re either cashing in or in danger of releasing something that’ll sound dated by the time you tour for it. FLA have been constantly plugging in the styles of the day for a couple of decades now, with mixed results (and even poking fun at themselves while doing so), but like you said, this feels very much like a classic FLA album under the hood with some modern body work. 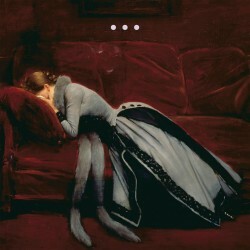 I kind of got on my soapbox about reactionary panic when it came to dubstep touches while discussing the new XP8 album, and I feel the same principle applies here: as long as you’re not shoving all of your chips into the corner of the current sound, industrial’s proved pretty resilient when it comes to synthesizing new touches. Anyway, to your question: it did take three or four spins for Airmech to truly click with me (though when it did, whoah…), while Echogenetic felt a lot more immediate. I think that has to do with the emphasis on programming over atmosphere more than the question of big, clubby singles, though. There aren’t any tasteless bids for club play here, no, but that didn’t stop FLA from becoming one of the most important bands of their era when they first emerged and were similarly resisting the temptation to make albums chock-a-block with big bangers (according to the diktats and aesthetics of the day). I don’t want to extrapolate too much from one single album and the recent history of the city which birthed it, but I don’t think it’s overstepping to say that the industrial club (in the abstract) isn’t the driving force behind trends in Our Thing that it was in the nineties and oughts. When I think about electro-industrial tracks I’ve built up in clubs over the past few years, the majority of them have been ones I wanted to find ears and succeed, full stop, not tracks which “demanded” to be played by contorting themselves into club-friendly forms. That said, sometimes good tunes are catchy tunes, and you point out a couple of this record’s high points and high energy numbers. What about its less obvious tracks? You’ve got something resembling a classic FLA “ballad” in “Ghosts”, and in “Prototype” a slight beefing up of the more drawn-out compositions from Airmech (like the stunning “Everything That Was Before”). Like you hint at, club play isn’t necessarily going to be driving these, but I know for certain that they’ll be major factors in my future decisions to toss Echogenetic on. How are the album’s chiller moments sitting with you? 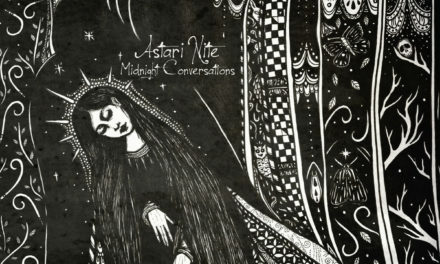 Alex: Quite well, although I don’t know if I’d call them chill so much as just really downtempo. Even at its least kinetic there’s still a sense of intensity to every song on here. The intro song “Resonance” and “Prototype” are both pretty excellent as instrumental links to the sound of Airmech, and as mentioned “Ghosts” makes for a nice update of the FLA-style ballad. Additionally I really like the atmosphere on the first couple minutes of “Heartquake” a lot; when it busts out it’s a bit disappointing because I was enjoying the build of it so much, and I’m waiting for when it breaks down again. That said, the mix of the more textural songs and the harder dance-oriented songs is a good ratio overall. 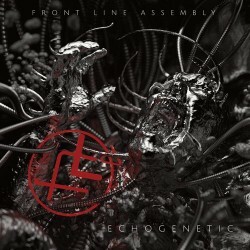 I know this is gonna sound super backhanded, but most of the latter Front Line albums are plagued by a lot of half-baked ideas that seem like they had potential but just aren’t executed that well, whereas I think Echogenetic nails what they were going for pretty much 100% of the time. Something to be said for that level of consistency: if the sound they’re doing isn’t your thing it’s all gonna be a wash, but if you do dig it (and most responses I’ve read have totally been on board with the approach) then you get it done really well. Okay, so here’s a weird thing that occurred to me just now: how do you feel about Bill Leeb’s presence as a vocalist on the album? Like, he’s never been super versatile, but vocally he’s always been a constant through all the FLA experiments and shifts in sound. His lyrics are almost always built around the same themes and ideas (The perils of technology! Mechanical metaphors about feelings! The future or the lack thereof! ), but the more I listen to him here the more I’m willing to give him credit as a front man for the project. It’s his band and obviously he’s gonna be a presence on anything with the Front Line Assembly name on it, but I kinda like how him just doing his thing here helps anchor the whole shebang. You know, it’s quite possible the sounds on this might not age all that well (that isn’t a critique, you can’t bash something for what could happen in a decade), but maybe Leeb’s processed, vocoded voice is insurance against it ever feeling totally out of step with the greater discography. Bruce: I was actually thinking along those lines when I was listening to those slower songs and checking classic FLA jams for reference. Leeb’s vocal melodies are definitely a staple, reminding you of who you’re listening to no matter how the vocals might be chopped and/or screwed along contemporary lines, and the melodies he’s wrung from them are as much of a part of the consistent FLA DNA as the lyrical themes you point to. Rounding this talk off, I don’t want to pull too heavily from off-site conversation, but both of us are on record as enjoying listening to Echogenetic more than Skinny Puppy’s Weapon. I realise that this is somewhat arbitrary; despite their mutual Vancouver origin and personnel/production crossover the two bands have taken very different courses over the past twenty-plus years. That said, comparisons, unfair or not, have been circulating since the pair’s earliest days, and with Puppy’s much ballyhooed (non)reemergence, it does feel somewhat appropriate to reflect on their mutual histories. Unlike Puppy, FLA haven’t had the luxury of absence making the heart grow fonder, but on Echogenetic I feel as though they’re consolidating their strengths: moving forward with contemporary sounds added to the classic mix, welding advanced programming to solid song construction, and finding new ways to bring the future-shock fun we’ve come to love them for. Buy it digitally or on CD.